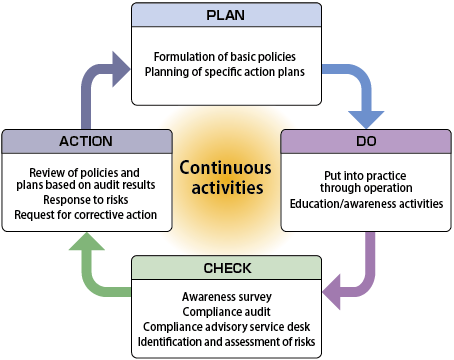 The PDCA approach is a four step management method often used in business process management. It is a method of controlling continuous improvement (CI) in the quality and effectiveness of products and processes. It is used in product management (PM), human resource management (HRM) and supply chain management (SCM) and education. It was made popular by the father of modern day quality control, Dr. W. Edwards Deming, and sometimes called the Deming circle/cycle/wheel. Deming’s referred to it as Shewhart cycle after Walter Andrew Shewhart, an American physicist, statistician and engineer, known as the father of statistical quality control. It’s used when starting a new project and as a model for continuous improvement. It is helpful in repeated work processes or when implementing changes. It also works well in data collection and analysis in that it can prioritize problems and root causes. This model is often used in education for a district’s strategic planning, curriculum design, classroom instruction and more. It is a good model to follow for continuous improvement whether it’s a product or process, it provides an overview of an improvement project, allowing for the cycle to repeat. It is used when something needs to change.